This Greek-style chicken soup is pure lemony goodness. 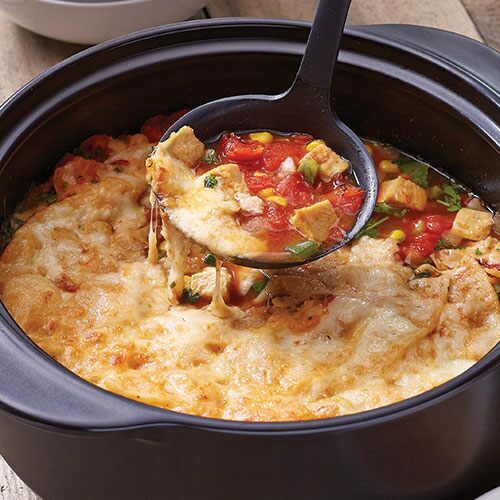 It’s packed with veggies, and each serving is under 200 calories…so you can feel good about eating it, too! We hate to break it to you, but your mom was totally right. 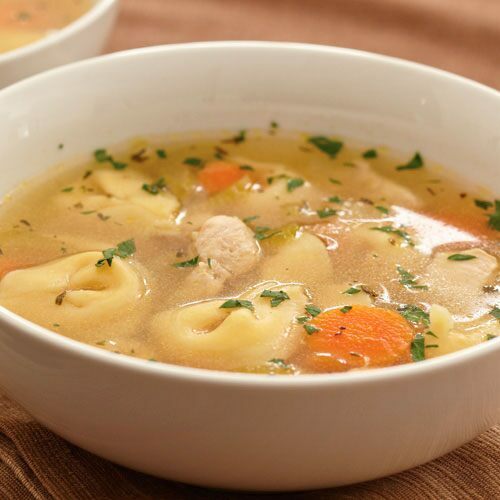 Chicken noodle soup helps cure colds. But no one said it has to be 100% traditional, right? Give your next pot a cheesy twist with tortellini. You’ll be craving this soup all the time, no cold required. What kind of list would this be without a thick, creamy chowder? 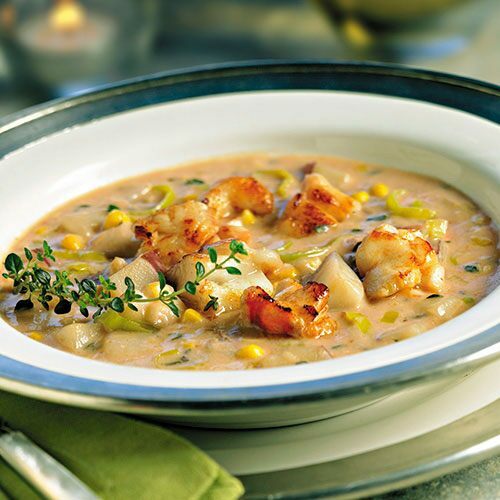 This recipe combines two of our favorite chowder ingredients: lobster and corn. The best part? This soup is also perfect in the summer, when lobster and corn are at their best. 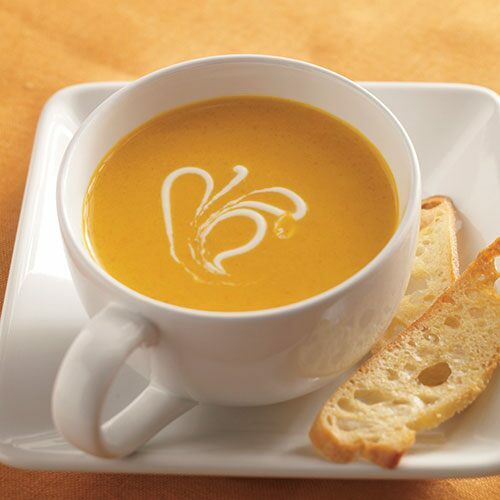 This butternut squash soup is so easy to make, nice to look at, and it tastes amazing. 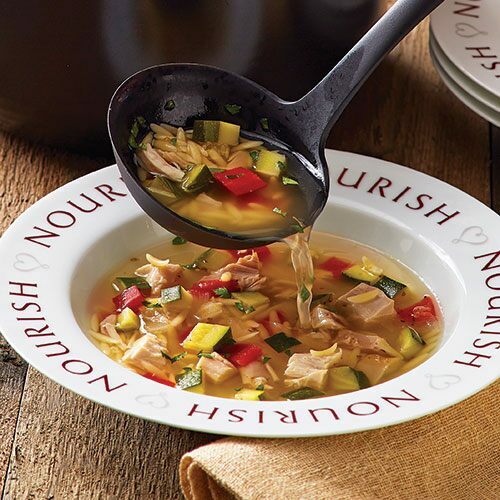 Swap the chicken broth for vegetable broth and serve it for dinner on Meatless Monday! When you’re looking for quick and tasty vegetarian soup recipes, don’t forget this favorite! 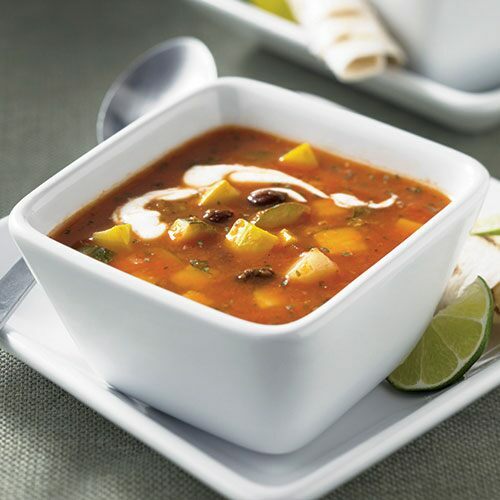 The lightly roasted veggies give this soup a robust south-of-the-border flavor. This aromatic soup is just like the bowls you’ll find in traditional Asian noodle shops. 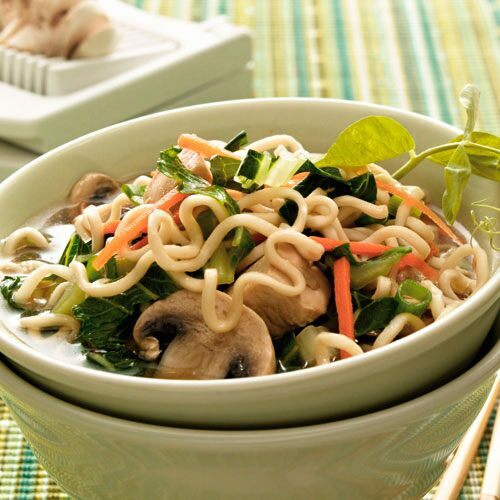 It’s packed with veggies like green onions, mushrooms and carrots, and the combination of gingerroot and garlic give it a deep, delicious flavor. 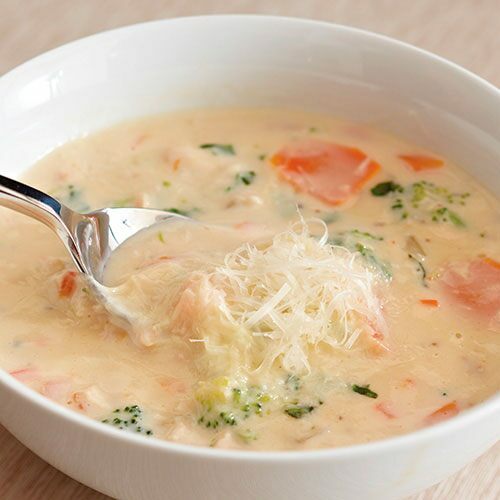 Skip the grilled cheese…this soup has something even better. 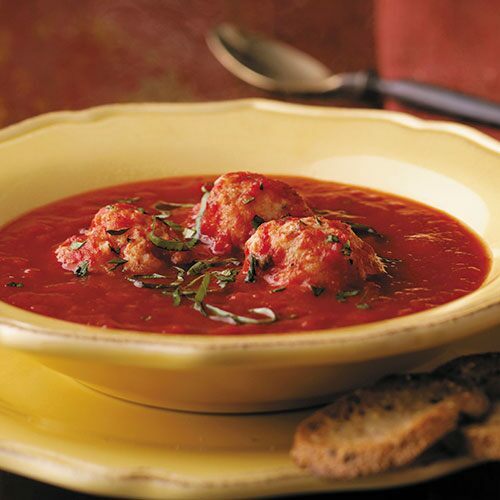 Dense ricotta and Parmesan dumplings are the perfect addition to tomato soup. Pair it with the fresh basil, and you have a classy update to a childhood favorite. 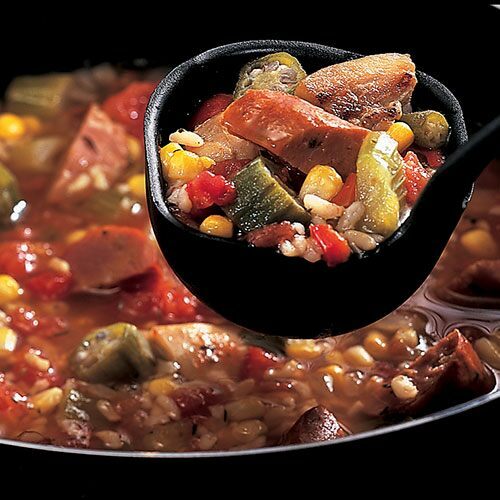 Ok, ok…this one’s technically a stew, but we couldn’t resist sharing this spicy, southern-style gumbo recipe. Serve it with cornbread for a truly authentic experience. It’s all right there in the name—this soup is hearty, cheesy and slightly spicy. It makes a fantastic meal for the whole family…who doesn’t love quesadillas?! Want more? Get 5 easy one-pot meal ideas.